Apartment A1(4+1). The closest beach is 150 meters away. 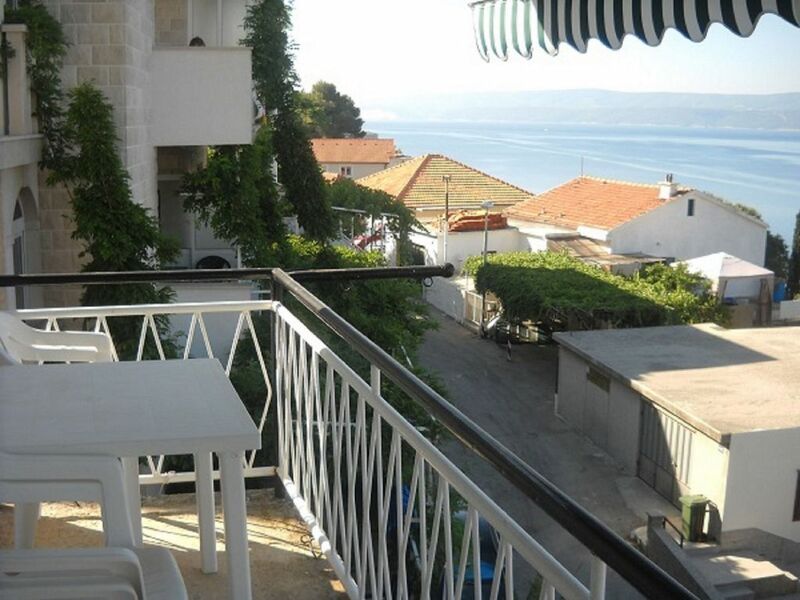 The property is 150 meters away from the coast. The town center is 150 meters away. FACILITIES AND EQUIPMENT: free parking within the property, common terrace for all guest in the property, garden. DISTANCES: The distance to the closest beach is 150 meter. The distance to the sea is 150 metar. The distance to the town center is 150 metar. Grocery store - 50 m. Closest restaurant - 100 m. Closest infirmary/hospital - 50 m. Closest public transport (bus etc) - 400 m. Airport - 30 km. Train station - 18 km. Ship / ferry port - 18 km. BASIC FEATURES: Apartment type: A1. 4 bed/s for adults. Number of extra beds 1. Apartment capacity (adults): (4+1). Category of apartment is 2 stars. Apartment size is 60 m2. Access for the disabled is not enabled. Number of bedrooms in the apartment: 2. Number of bathrooms in the apartment: 1. Number of balconies in the apartment: 2. BEDROOM (2): Flooring: parquetry. In the bedroom is double bed. Extra bed/s in the bedroom is/are: one foldable bed for one adult. Bedding is available to guests. LIVING ROOMS: kitchen and dining room in the same room, the living room has an exit to the balcony/teracce. Flooring in the apartment: carpet, parquetry, laminate. EQUIPMENT: TV set, radio, smoking allowed inside the apartment , air conditioning in one bedroom with surcharge. KITCHEN EQUIPMENT: table and chairs, kitchen sink, hob with two cookers, electric hob, oven, refrigerator, freezer, microwave, iron, water heater. BATHROOM (1): Bathroom size is: 4,50 m2. Equipment in the bathroom: bath tub, toilet, tiles, hairdryer, bath towels. UNIQUE BENEFITS: free parking within the property, common terrace for all guest in the property, garden.